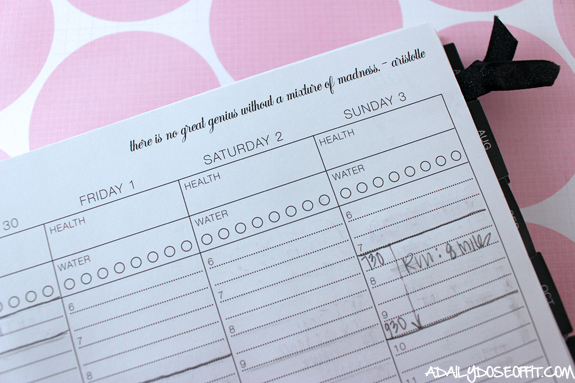 Back in January, I sat down and made a list of fitness, health and happiness goals. On the fitness list: Get my ACE Group Fitness Certification. 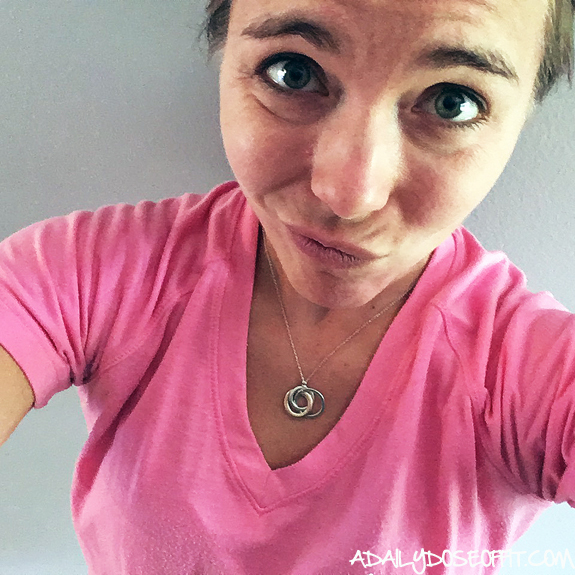 I got my ACE Personal Trainer Certification in 2013 when I switched over from a lesser known certification, and have been teaching group fitness since 2010, so it only seemed right that I become an ACE-certified group fitness instructor. I chose to stick with the American Council on Exercise because 1) loyalty, and 2) ACE professional certifications are widely accepted and respected within the fitness industry. Before you decided what route to go, I highly suggest you do some research: If you currently work at a fitness facility, ask the fitness director which group fitness certifications they accept. Then, look into each individual certification and pick the one that speaks to you. If the certification is nationally accredited and/or accepted by your employer, you can't go wrong. 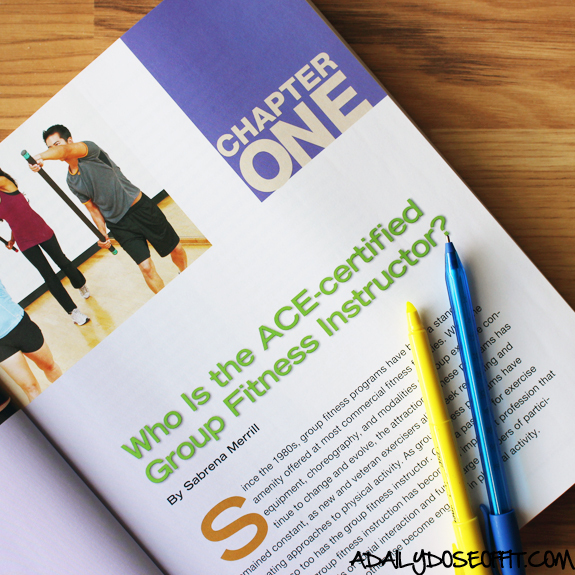 All of my group fitness instructors are certified by either ACE or AFAA. 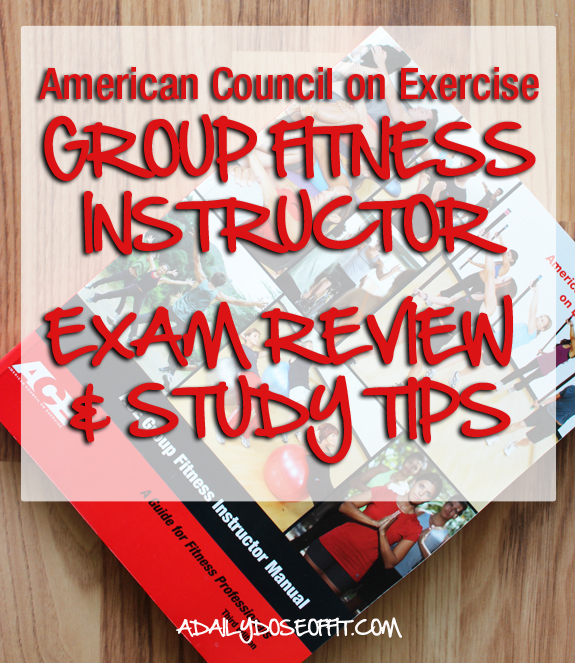 I don't have much inside info on the AFAA exam, but I can give you some tips on taking the ACE group fitness exam. I studied for my group fitness exam the way I studied for my personal training exam, my unofficial first tip for you would be to review those study tips. The following will focus more specifically on the group fitness exam. Note: ACE unveiled a new Group Fitness Certification Study Program almost immediately after I received my books. Because of this, they gave me access to the new program. I spent some time with it, and will do my best to address both as some of you may still be using the old books. 1) If you are an ACE-certified personal trainer, trust your knowledge of exercise science. My bundle of study materials included the Essentials of Exercise Science book, which I already had. I contacted ACE and they agreed to send me the corresponding flash cards in place of the book. The cards helped me review key concepts like slow versus fast twitch muscles, muscle names and corresponding functions, caloric expenditure, blood flow, planes of motion and more. And yes, all of these key concepts appeared on the exam. 2) Focus on class design, structure, music, teaching styles, learning methods, etc. These concepts were new to me, as they were not presented in the personal training course materials. You should know how to build and lead a class, and know how to problem-solve your way through classes that have participants with different learning styles. Obviously, this will be a large portion of the exam. 3) Continue to take or teach group fitness classes while you study. Immersing yourself in the culture of group fitness while you are learning about it is the best way to absorb the information you are studying. I've been a group fitness instructor since 2010, but I can tell you with absolute certainly that I still learned a thing or two. Essentially, I was able to observe myself in action, and consequently made note of the different concepts I was learning about in my books. If you are not currently teaching, being a part of a live class will give you the chance to observe seasoned instructors at work. And to become one yourself, because #handsonexperience. 4) Be prepared to apply the concepts you are reading about in your manual. I know that ACE is phasing out the exam that I took in favor of one that's more in line with the new course materials, but I don't forsee the changes to the exam itself to be that drastic. Multiple choice questions will come firing at you, so problem-solve your way through those by trusting in the knowledge you have gained. Additionally, be prepared to work with visuals—some of the multiple choice questions had corresponding photos and videos from which I was asked to identify what was going wrong and/or how I could modify the exercises shown. 5) Don't skim over the safety and liability mumbo-jumbo. ...because it's not really mumbo-jumbo. It might not be the longest section in the book, but it might very well be the most important. You'll see a few questions on the exam pertaining to these topics, but you'll spend a lifetime of group fitness instruction making sure that your participants are safe. Generally speaking, I thought the ACE Group Fitness Exam was quite manageable. It took me six months to prepare. I could have done it sooner, but a part-time job and two kids really sucked the life out of my study time. For those of you who are already certified fitness professionals, it will refresh your understanding of key fitness concepts while enhancing your ability to lead more than one person through a workout. For those of you that are not already certified fitness professionals, fear not the need to study exercise science and group fit instruction! ACE excels at the user-friendly approach. The course materials (new and old) are very approachable, and the study guides will truly assist you. And from my perspective, I've had nothing but great experiences with ACE. They're easy to interact with and certainly affordable...fair warning, maintaining professional fitness certification can get quite expensive! Additionally, ACE presents a general group fitness certification. Many formats (like PiYO Live and Spinning) require additional certifications in order to teach. And even though you can get those certifications without being a certified group fitness instructor, I highly recommend that you pursue your general group fitness certification first. You really will learn almost everything you need to know about leading a group through their workouts. It's worth all the time, money and effort. I promise. • Want a career in the fitness industry? What you need to know. Question: Group fitness professionals, tell me about your certifications! I want to know what you're doing! Not certified? 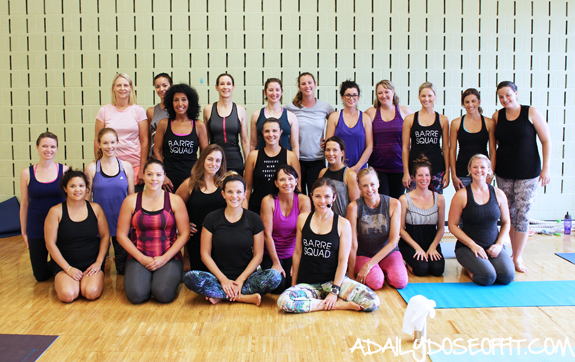 If you could teach one group fitness class, which would you choose and why? Are you busy? Stupid question, I know. We are all busy. Life is busy. Crazy. And awesome. All at the same time. It's one of the reasons I stopped blogging for so long, mostly because I couldn't keep up with everything. I know I'm not alone, and I know it's no excuse. Life isn't going to slow down, in fact, it's only going to get busier and busier as my kids grow older. So one of the things I've been working on lately: Planning out my week so I can avoid turning into a huge bit...stress ball. Maybe what I do can help you, too. 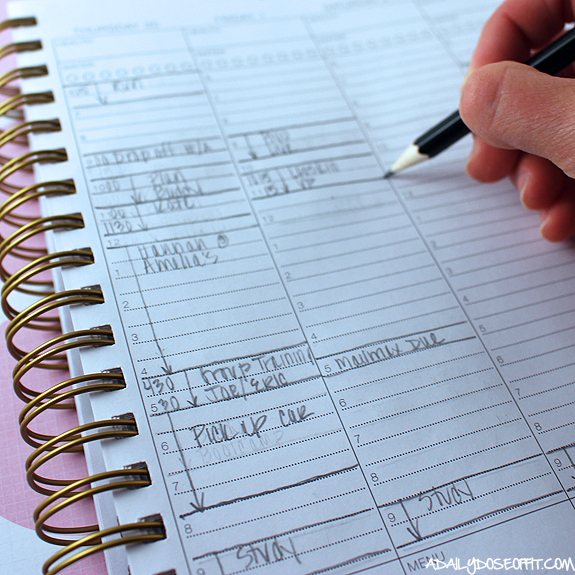 1) Get a planner you love and use it. I started using a planner in grade school. Our teachers made us. In high school and college, it wasn't required but I still purchased the school version that was offered to us. When I started working, I used a Kate Spade planner that I got as a graduation gift. It was the first of many I've tried out over the years. They all worked, but none of them ever felt 100% right. 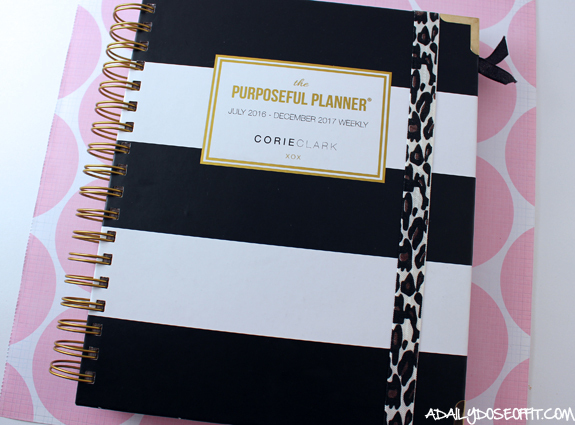 But a few months ago, I found THE ONE—it's the Purposeful Planner by Corie Clark. 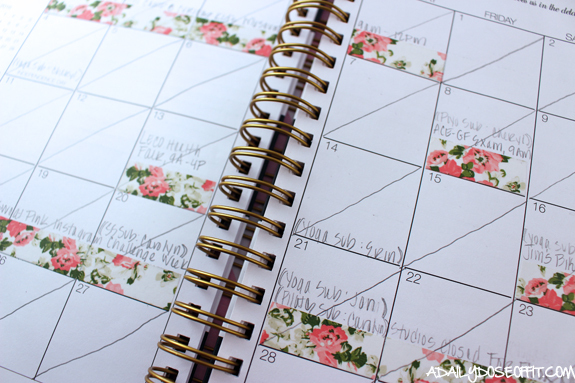 This planner is my life bible. Everything on my schedule is listed within. I sit down very Sunday night and update it for the week ahead. If I don't write something down, I'll forget about it. 2) Plan your food as best you can. 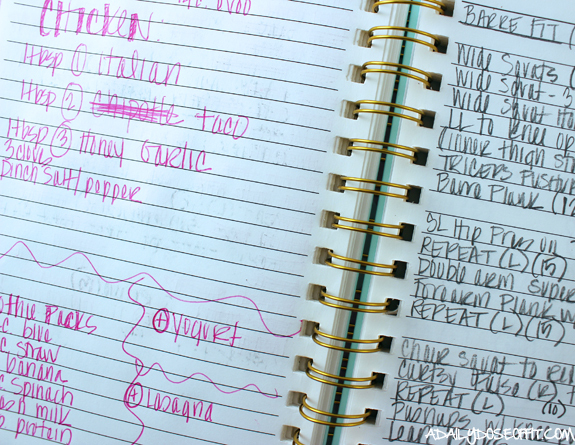 Meal planning is a huge thing right now. People spend entire Sundays prepping a week's worth of breakfasts, lunches and dinners. I don't know about you, but I don't have time for that. And I don't always want to make time for that when there are other things that need to be done (or other fun that needs to be had). But, healthy food is important to me. And I live with two kids. When it's feeding time at the zoo, it helps to have a plan. So I make a grocery list every week. It takes me ten minutes to write down staples that need to be restocked and ingredients that need to be purchased for recipes I intend to make. And this, in turn, makes mealtime a little easier because #hangry is a very real thing at my house. Literally, everything. So if I need to find something, I know right where to go. I don't have a million pieces of paper floating around. I have one notebook (and my planner). They're like my wedding rings. I feel naked without these two things. 4) Stay focused on one thing at a time. 5) Accept madness and mayhem. There are days (and weeks) where, despite doing all of the above, I feel totally out of control. Off schedule. Disorganized. Stressed and overwhelmed. I've been trying really hard lately to accept those days because #life. It's too short and all of the tasks that feel important...they're really not. They'll get done, maybe not when I want them to. Maybe never. And if that's the case, it's probably because something else is happening that could (quite possibly) be even better or more important. "There is no great genius without a mixture of madness." So true, right? So be prepared to throw your best productivity tips out the window, and accept the results. Stop, take a deep breath, then start over in that very moment that feels totally and completely out of control. You don't have to be perfectly in control all of the time, I promise. 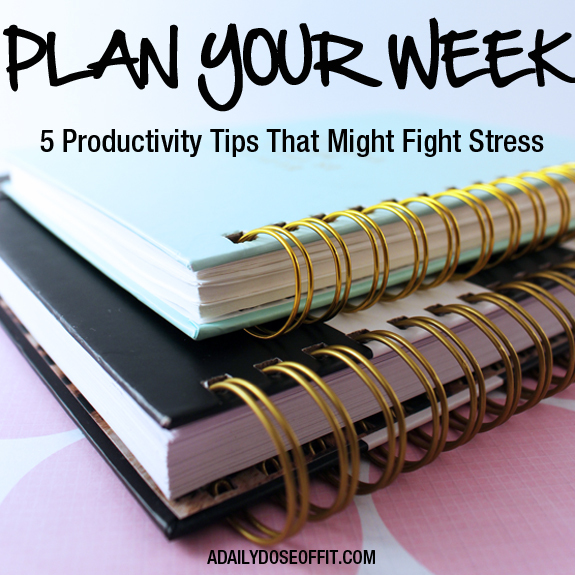 Question: What productivity tips do you live by in order to keep the stress away? One doesn't have to go very far to find a barre class. This popular group fitness format takes on a variety of different names, all of which represent one common thing: muscle burn from moves traditionally seen in ballet classes. 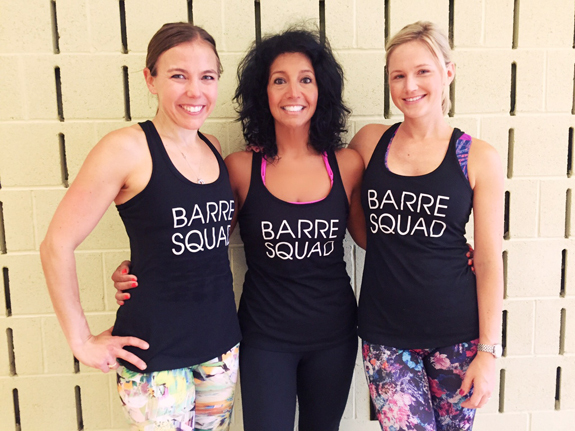 At our gym, we call it "Barre Fit" and we incorporate exercises NOT traditionally seen in barre-style classes. I am an ACE-certified personal trainer and group fitness instructor, but I don't know your specific needs. Please speak with your physician before trying anything new. And always listen to your body. Your safety and good health is incredibly important. Start off in a lunge position, then step your back foot in. Leave your weight on the front foot so your back foot can move freely. Engage your core to support your low back, keep your back straight, and keep your hands off your knee. Shift to the other side when you finish your repetitions. From your hip press position, walk the feet out one at a time, then walk them back in. Repeat, maintaining your hip press position throughout. Yes, you've been holding that hip press this whole time. Don't give up! Bring your knee into your chest, then extend your leg straight up to the sky. Shift to the other side when you finish your repetitions. Lie down on your back, then extend your legs and arms. Lift both up off the floor a few inches, pressing your low back into the floor. Crunch up and over your left knee. This is your first repetition. Complete (12) by alternating knees, then relax. You can find a description of this exercise HERE. It's one of my favorites! Note that I also like to call them "rotating leg lifts." I love this core exercise. It's a plank variation that works for me every time I do it. Set the clock, feel the burn... just keep your hips low and in line with your shoulders and ankles to make it really effective. I built the workout with flow in mind, so try to move smoothly from one exercise to the next. Be sure to warm up and cool down appropriately, and drink water as you go. I bought it from Lucy Activewear. Questions about the workout? Lemme know: tara (at) adailydoseoffit (dot) com! Question: If you can only have 30 minutes to exercise, what's your workout of choice? Why? Yesterday was so much fun. 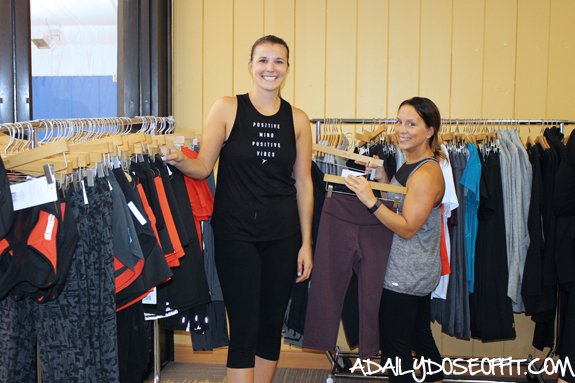 Lucy Activewear brought all of their latest gear to my gym for a trunk show. We started the day off with a 30-minute Barre Fit class, then followed it up with muffins, mimosas and plenty of shopping. I've spent the last five months not blogging diving into my job at the gym. I really, really love my job. Both the people and the place itself are so great, and I want to honor that by going above and beyond. When someone told me that Lucy would come out for a trunk show, I jumped on it. My town is small and the shopping options (especially for fitness fashion) are few and far in between. Bring in the shopping? Yes. Let's do it. Tie it to my Barre Fit class? Even better. I normally teach a 60-minute Barre Fit class, but decided to limit this special class to 30 minutes because #shopping. So we got right to it. Sweat factor = through the roof. But my girls were troopers and I think they all had fun getting their workout on. 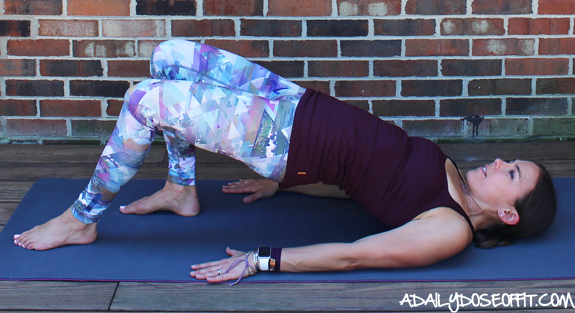 I wore the Studio Hatha capri legging in the "blurred floral" print. Seriously, all of the new Lucy gear is so cute! Guys, the Hatha capri leggings fit so well. They come in close as the most comfortable leggings I've ever worn. And don't even get me started on how awesome the cuffed pants are. Comfortable, yes, but also quite stylish so you can basically wear your pajamas out in public. I wore them yesterday and almost forgot to take them off before bed. 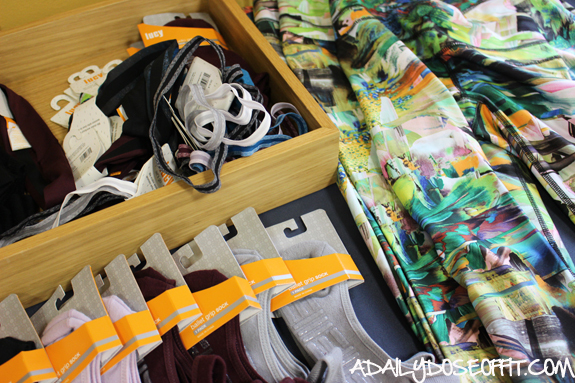 Lucy Activewear has quite the selection! Not exactly cheap, but I'm of the mindset that spending a little more on something so high quality is on-par with perfection. I'll have this stuff forever if I can manage to take care of it. My only regret from yesterday (besides not buying everything I wanted)—I didn't take a picture with the awesome Lucy girls that came from the Water Tower store in Chicago. Ugh! Coming soon: The 30-minute Barre Fit class we did yesterday (and the playlist I used, too). Question: What's your take on activewear pricing? Do you save up for high-quality pieces or splurge repeated on lower-priced items? Have you ever been to a fitness fashion trunk show? It's been awhile. Exactly five months of crickets and cobwebs on A Daily Dose of Fit. I left you hanging, I know, and for that I truly apologize. You remember me, right? Truth is, I desperately needed a break. Something had to give, and that something couldn't be my family or my job. For five months, I walked away from blogging. Life was (still is) crazy, and I just wasn't feeling it. But there's a little tiny voice inside of me that wants to come back. 1) I passed the ACE Group Fitness exam. 2) I registered for the Chicago Half Marathon. 3) I tried (and fell in love with) stand-up paddle boarding. 4) I PR'd at a 5K in my new favorite running shoes. 5) I convinced my gym to purchase 18 new Keiser bikes. All of these things inspired a "hey...that would be a great blog post" moment. I started keeping a list, and that tiny little voice inside me got even louder. So here I am. Writing again. I don't know how often I'll post. Or what I'll post about. It might be fitness, as it always has been. I might branch out. I just know this: I feel like talking. Like being creative. There's more to come (again). In the meantime, be sure to follow me on Facebook, Twitter, Instagram and Pinterest because social media never stops.